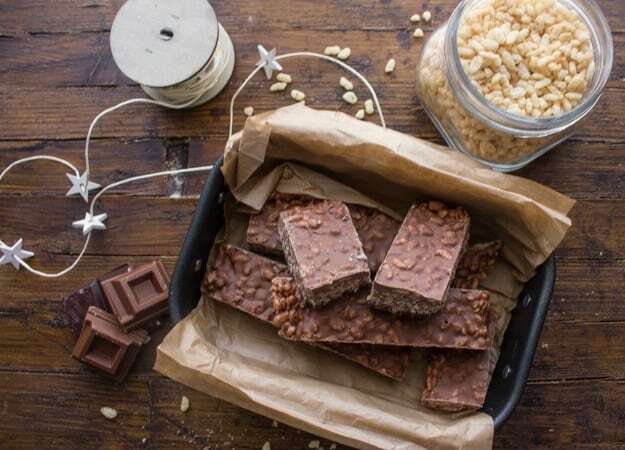 Double Chocolate Crispy Treats, the perfect homemade chocolate bar, fast and easy. 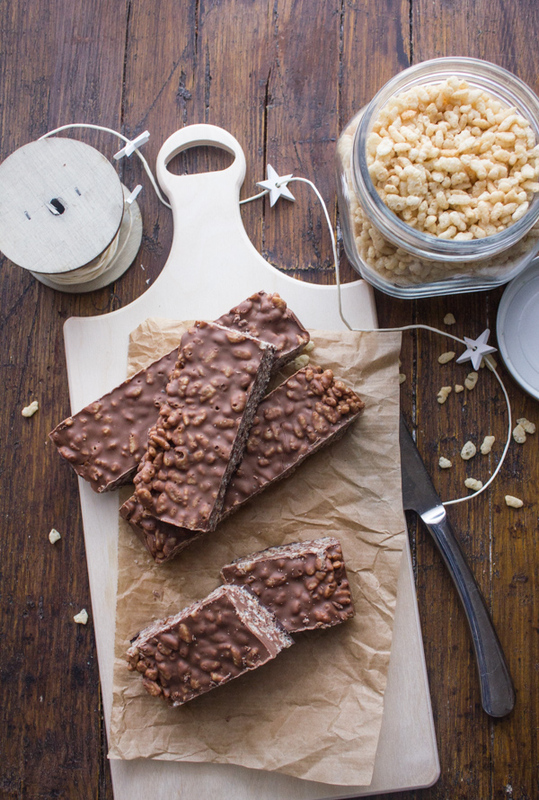 Made with milk and dark chocolate and rice cereal. 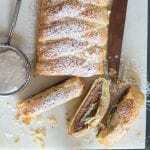 Makes a delicious dessert or snack, kids and adults will love it. I was visiting a friend the other day and knowing my love of chocolate she told me she made something that I just had to try. 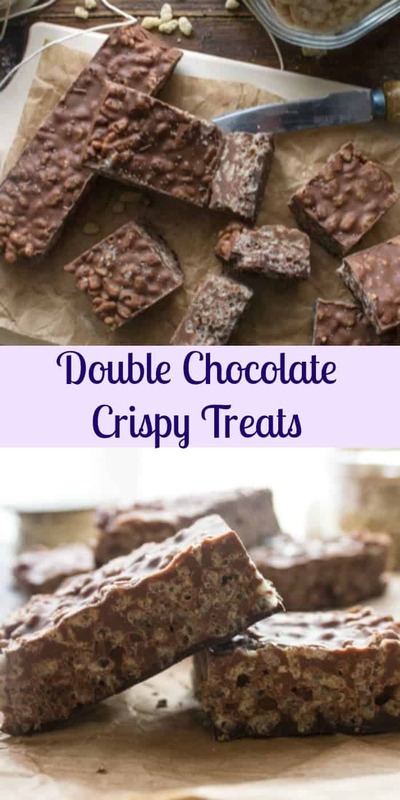 And try I did, they were these amazing Double Chocolate Crispy Treats. They tasted just like a chocolate bar I used to eat in Canada. I knew I had to make them too. 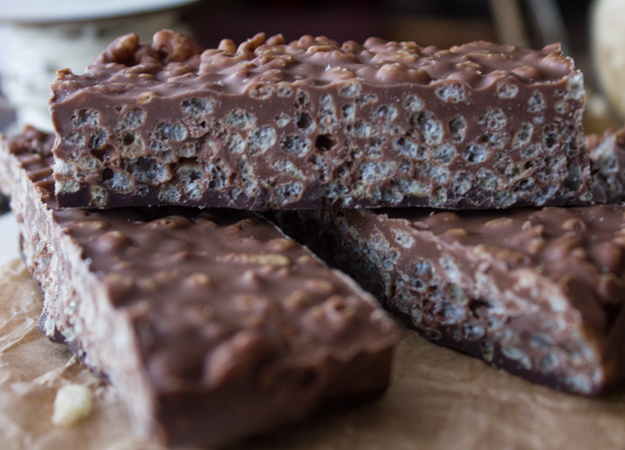 Rice Krispie squares weren’t new to Italy but these amazing chocolate ones were new to me. 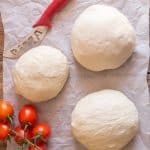 When I look back over the years I realized I have learned so much about Italian cooking and baking. I have been so lucky to have such an amazing mother-in-law who was always ready to share what she knew with me. Even though at the beginning we had no idea what the other was saying. But food always seems to bring people together. So when I was able to share something of mine with my new family, I did. Original Rice Krispie Treats were one of the first things I shared. One of those rare occasions when my husband and I were actually together in a supermarket, he happened to notice the new arrival in Italy. Yes Rice Krispies had arrived. Looking at me and I swear the Italian’s eyes lit up, said “remember those sweet bars you made at your Mom’s with this cereal”? 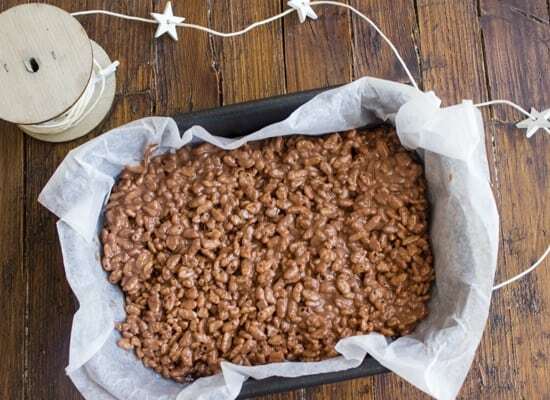 Ahh yes Rice Krispie Squares, and then I thought, “ok Rice Krispies are one thing, but marshmallows”? Believe it or not we found them. I think I was making those darn Krispie Squares for half the town, they absolutely loved them. Thank goodness friends and family started to make them for themselves. Of course I would occasionally make them for my kids and husband. 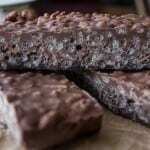 But now thanks to my friend and her recipe from Giallo Zafferano I can make these Double Chocolate Crispy Treats. And you know what, you can too and it’s also a great way to use up that extra Easter Chocolate that might be hanging around. Happy Easter and Enjoy! 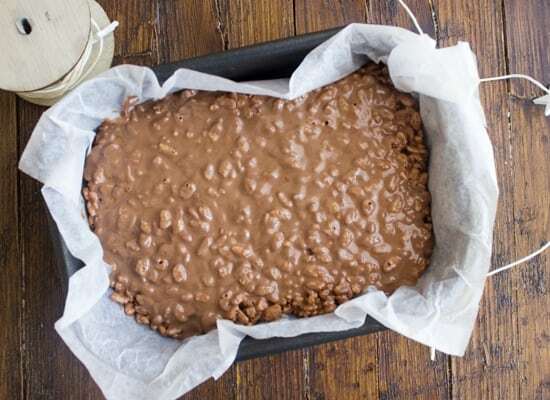 Double Chocolate Crispy Treats, a fast and easy homemade crispy cereal treat recipe. 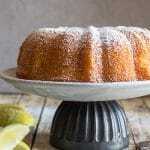 A dessert or snack, kids and adults will love it. Line a 9.5 x 6.5 inch baking pan (I think also an 8 or 9 inch square baking dish would do) with parchment paper. 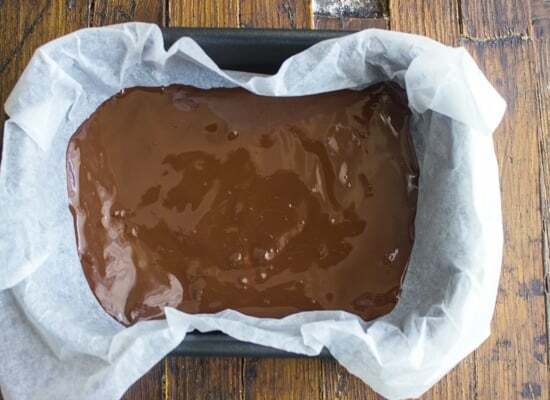 Melt dark chocolate and spread on the baking dish (swirl the chocolate to cover the bottom). Leave at room temperature. 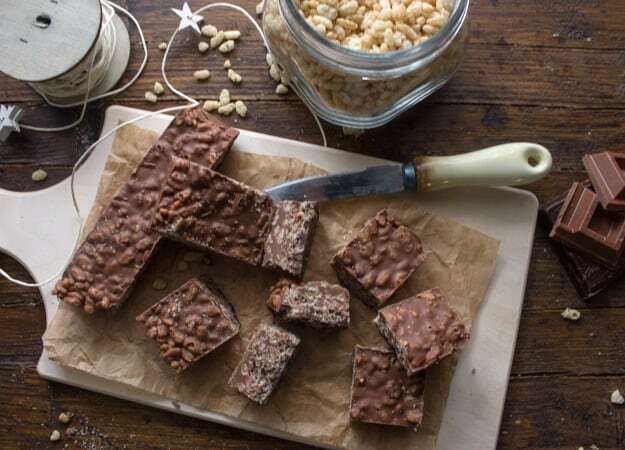 Melt 5 ounces of milk chocolate (150 grams) and butter, when almost melted remove from heat and stir until smooth, then stir in Rice Krispies a bit at a time, remove 1st layer from the fridge and spoon Rice Krispie mixture evenly on top. 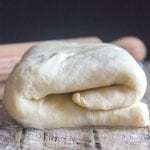 Refrigerate while making the 3rd layer. Melt remaining 2 1/2 ounces of milk chocolate (75 grams), remove from fridge and pour on top of 2nd layer, swirl to cover. Let sit for at least 2-3 hours in the fridge. Then cut into bars. Enjoy! I know eh Janet! Just a good excuse to go out and buy more! xo to you too! 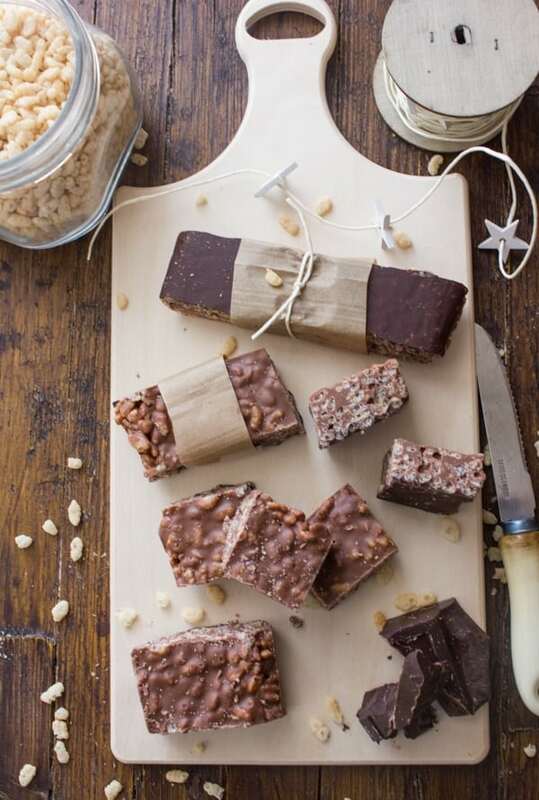 Oh yes, your friend was right–these look incredible. Can’t wait to try! Hi Kristen, thanks they are sooooo good! Thanks Swayam, hope you enjoy them.